Wilplas announce the addition of three new colours to their foiled range – White and Cream and Anthracite Grey. 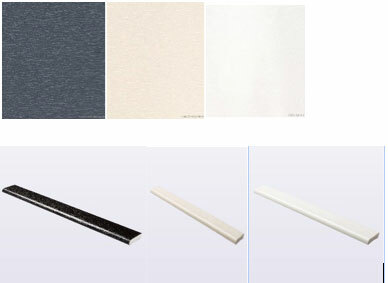 Due to the increasing popularity of coloured window frames Wilplas has introduced window trims and accessories in these matching shades. Available in 45mm, 65mm and 95mm architrave, 12mm and 18mm quadrants and 28mm cloaking fillet. These new colour options, all with a ten year guarantee will offer installers the opportunity to capitalise on opportunities in a growing market. These additions to our already extensive range further underlines the company’s position as a market leader within the uPVC industry.